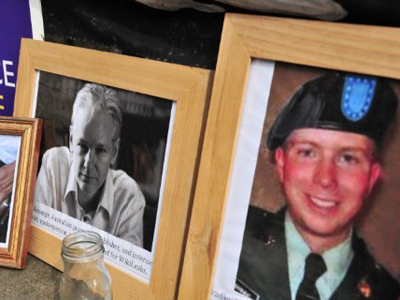 The United Nations official investigating the American military’s treatment of Bradley Manning has ruled that the US government imposed cruel, inhuman, degrading and borderline torturous treatment on the alleged WikiLeaks contributor. 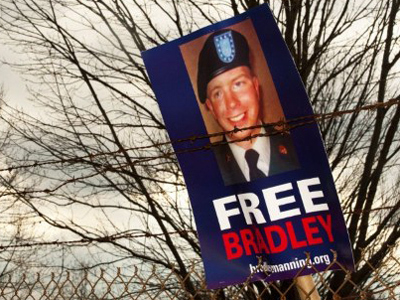 The UN’s special rapporteur on torture, Juan Mendez, has completed his 14-month investigation into the detainment of Private First Class Bradley Manning, a 24-year old US soldier. Following allegations that he aided Julian Assange’s WikiLeaks site, Manning was arrested in May 2010 for disclosing classified material and has been in governmental custody for the nearly two years since. 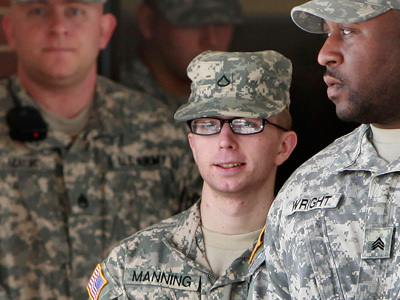 Despite a lengthy stint in military prison, Manning was formally arraigned only recently with a series of crimes that could put him away for the rest of life. In that period where Manning was held without charge, the UN now reports that the alleged whistleblower was subjected to reprehensible treatment at the hands of the United States. In a just-published addendum on international torture issues submitted to the UN’s Human Rights Council, Mendez writes that his investigation into America’s detainment of Manning leads him to believe that the US is at fault for imposing cruel and inhumane treatment on the soldier. The rapporteur explicitly calls out the United States for holding Manning in solitary confinement for 23-hours a day for a period of nearly a year, all the while neglecting to formally file charges against the soldier. "The special rapporteur concludes that imposing seriously punitive conditions of detention on someone who has not been found guilty of any crime is a violation of his right to physical and psychological integrity as well as of his presumption of innocence," Mendez reveals. “If the effects in regards to pain and suffering inflicted on Manning were more severe, they could constitute torture,” he adds. 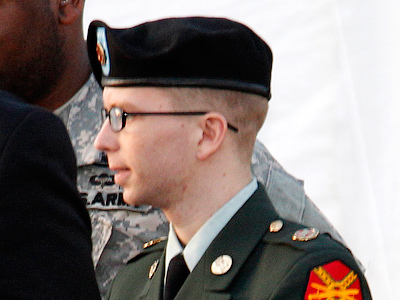 Despite being arrested nearly two years ago, the US military began pre-trial hearings over Manning’s alleged involvement with WikiLeaks only last December, finally arraigning him last month before an Armed Forces judge in Maryland. 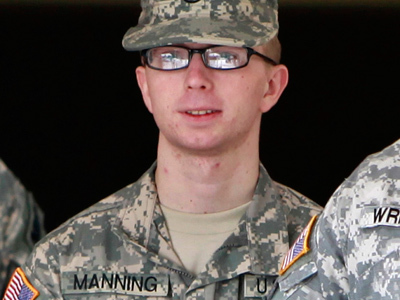 It was then that Manning was arraigned on 22 counts, including aiding the enemy, but the soldier deferred offering any plea. 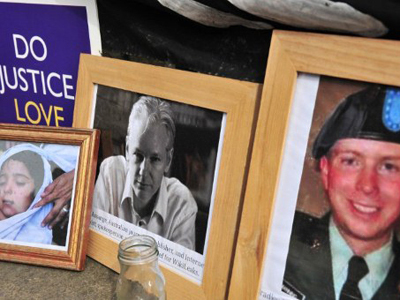 Ellsberg, who was responsible for leaking the Pentagon Papers in the 1970s while working for the US Department of Defense, added that he believes the government is trying to use Manning not only to make an example for other whistleblowers but to link him with Julian Assange himself. “In this case, I think they want not only an association with Assange as with some journalist or whoever, they want this very special, an ‘unjournalistic’ kind of thing. They want to show some kind of conspiracy . . .and they want to break him down,” said Ellsberg. 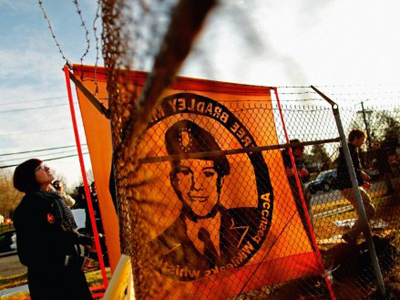 Mendez also notes in his report that the US government continues to deny him an unmonitored meeting with Manning. The special rapporteur argues that he should be able to meet in private with Manning, as a government presence could pressure the soldier to not come clean with the full truth behind his detainment. “Regrettably, to date the Government continues to refuse to allow the Special Rapporteur to conduct private, unmonitored and privileged communications with Private Manning, in accordance with the working methods of his mandate,” writes Mendez. Last year, 50 members of European parliament wrote to US President Barack Obama, the US Congress, Secretary of Defense Leon Panetta, Secretary of the Army John McHugh and US Army Chief Raymond T Odierno to allow the UN's special rapporteur on torture access to the soldier.